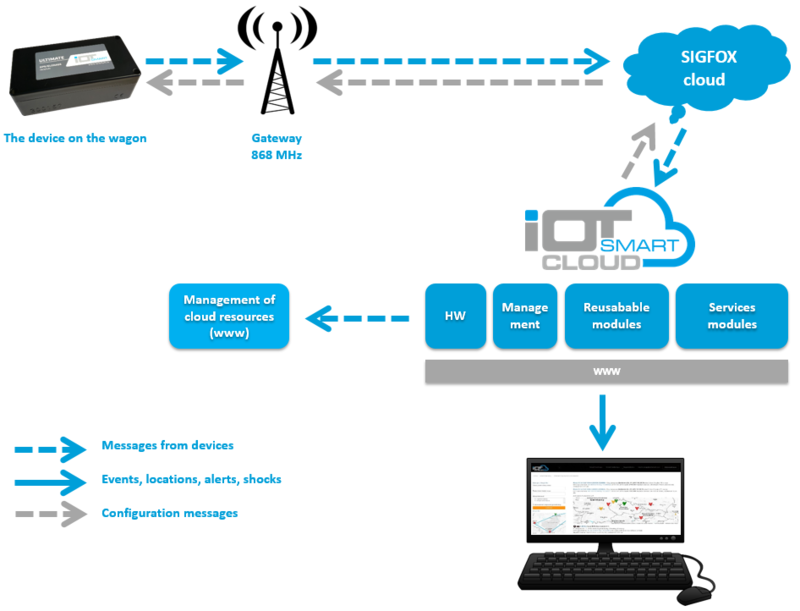 The device is placed on a moving vehicle and sends data with GPS coordination and another information (in accordance with customer requirements) at given interval to the Iot.smart cloud service. 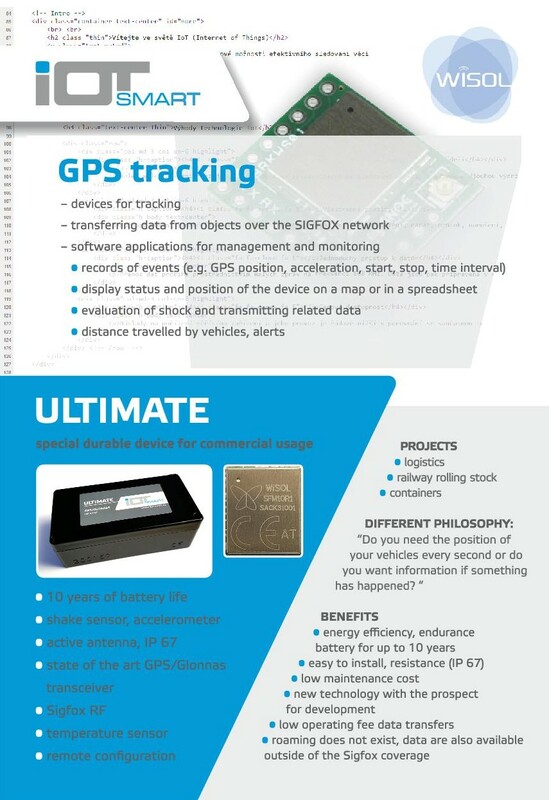 The SIGFOX network is used to transmit data. 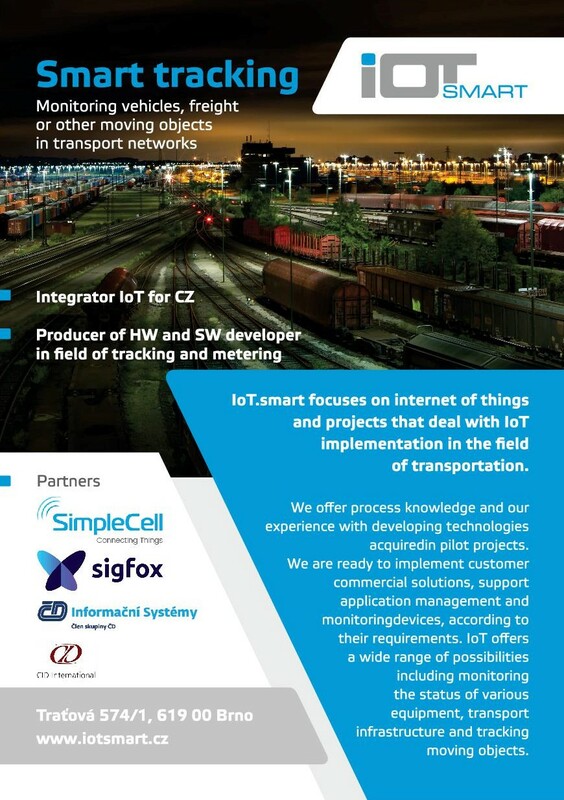 The Iot.smart cloud service is accessible for customers. The data is transmitted from the device via the network Sigfox, which has the following properties.